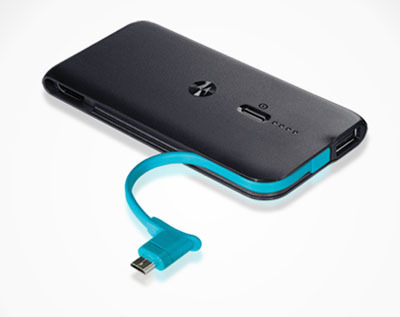 Motorola P793 Back-Up Battery Charger is the latest one from AT&T. You can ask what the new thing of the charger is. The thing is that it is made up of recycled water bottles. Yes, Motorola P793 is composed of 25% of recycled water bottles. You can use this charger for your SmartPhones. At the same time, the device is compatible with all the USB-powered gadgets from various manufacturers. With this battery charger, you can have two USB ports to charge two electronic devices simultaneously. Unfortunately, the other detail such as price isn’t available. However, stay tuned for the updates.